Measures the trace concentrations of water in a wide range of liquid and powder samples by Coulometric Karl Fischer titration method. 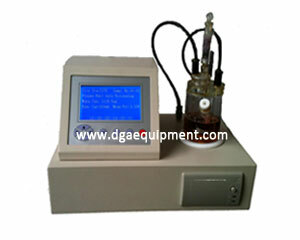 It is used for determining water content in oils, gasolines, solvents, fluids, as well as other products such as pharmaceuticals and cosmetics. Conforms to ASTM D1533, ASTM D4928, ASTM D6304. CE Mark. If you would like to discuss your requirements for this product further, please email us at sales@dgaequipment.com or use our enquiry form.